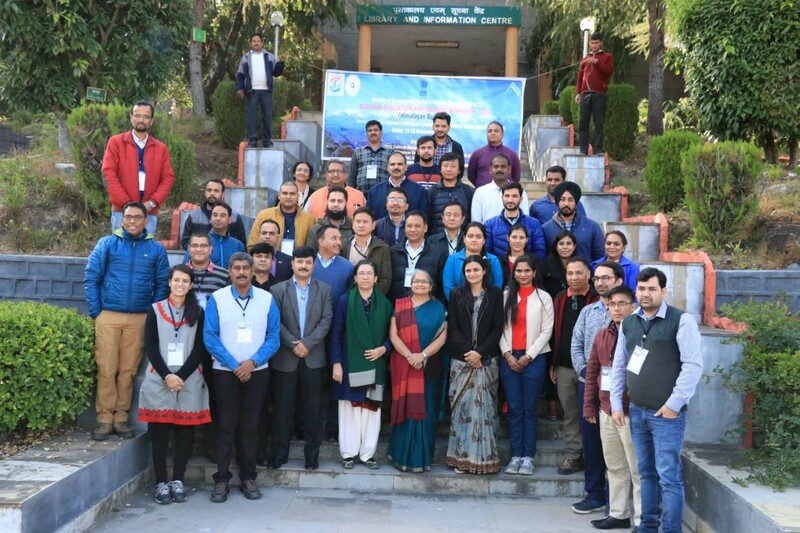 ENVIS Resource Partner on Wildlife and Protected Areas, Wildlife Institute of India, Dehradun participated in the ENVIS Evaluation and Training Workshop (Himalayan Region) conducted on 15 and 16 November, 2018 at G.B. Pant National Institute of Himalayan Environment & Sustainable Development, Almora. 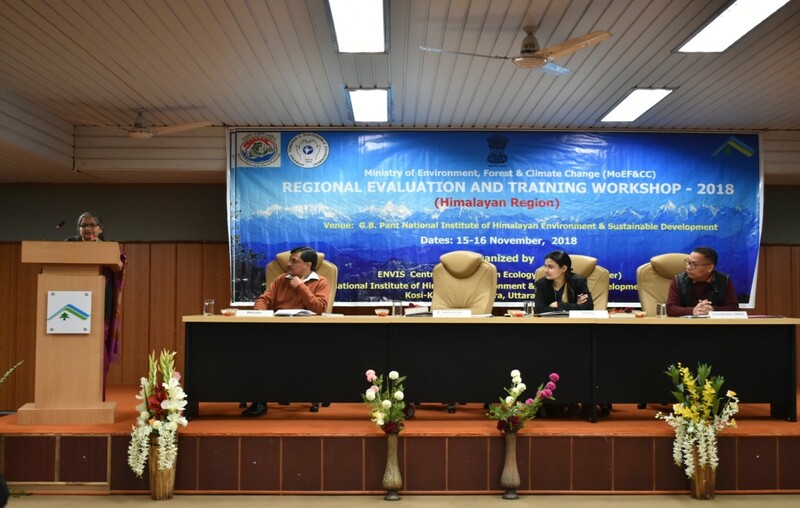 The main objective of the workshop was to evaluate the ongoing ENVIS activities all across Himalayan Region and also training the staff in NATIONAL ENVIRONMENT SURVEY- a Grid based Decision Support System (GRIDSS) for sustainable management of natural resources. 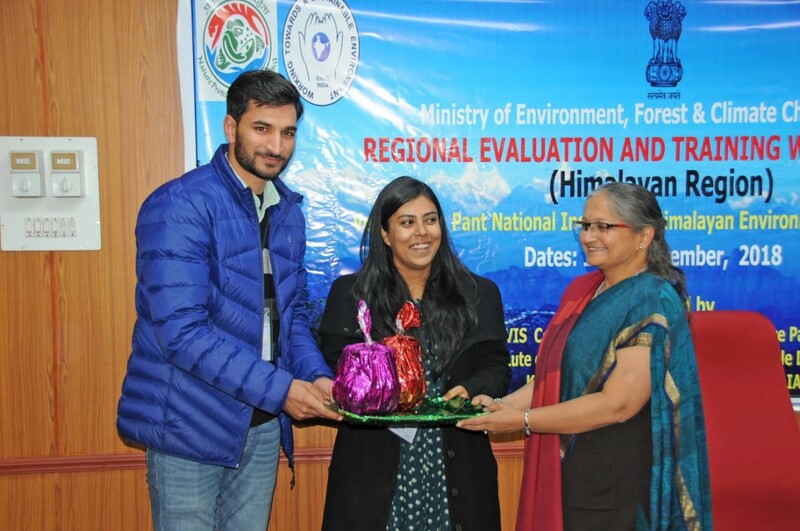 Ms. Sounika Karmakar (PO) and Mr. Amir Mohiudin Lone (ITO/GE) represented ENVIS-RP WII in the workshop. The workshop inaugural ceremony started with a welcome speech by Dr. I. D. Bhatt, Scientist-E, GBPNIHESD Almora, wherein he welcomed all the dignitaries and the participants from various ENVIS centres. It was followed by a speech by the chief guest Dr. A. Subramanian, Principal Advisor MoEF&CC, Govt. of India. She shared with the audience the success of the GSDP and the country wide appreciation it has received so far. She expressed how ENVIS being an integral part of MoEF&CC is raising the bars for other similar schemes. She also briefed on GRIDSS and how it is going to play an important role in National Environmental Survey (NES). The inaugural ceremony was followed by an evaluation for all the participating ENVIS centres. 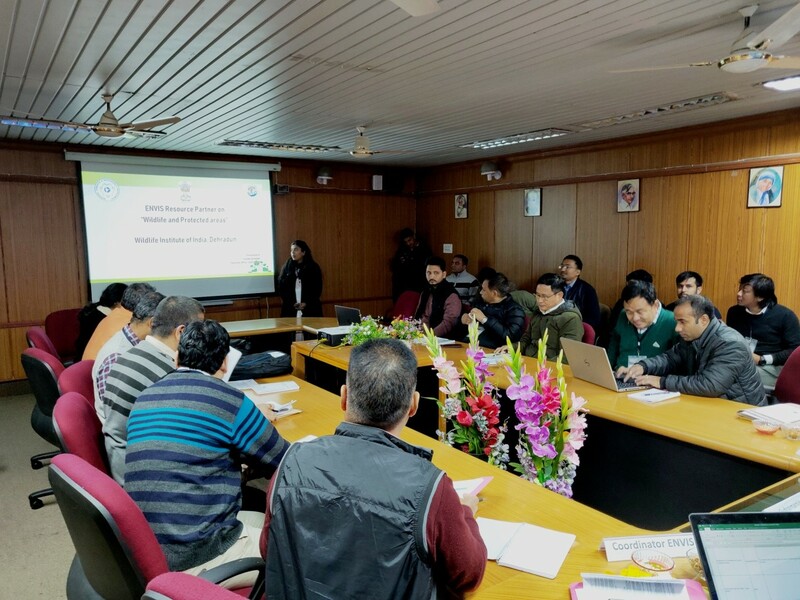 Ms Sounika Karmakar, Programme Officer ENVIS-RP, WII presented the centre’s work done and activities conducted as per centre’s annual plan of activities and briefed about GSDP completed, ongoing and upcoming courses. The same process was followed by the other participating centres. The ENVIS Centres also discussed their plans regarding NES-GRIDSS. On day 2 Environmental Systems Research Institute (ESRI) training personnel’s trained the ENVIS staff on Arc GIS platform for NES-GRIDSS. ESRI personnel showcased how to integrate data collected via Arc Collector with Arc GIS and Web GIS interface for real time updation of data. An approach was also discussed for how to collect both primary and secondary data sets from various levels. The Guests were felicitated by Dr. 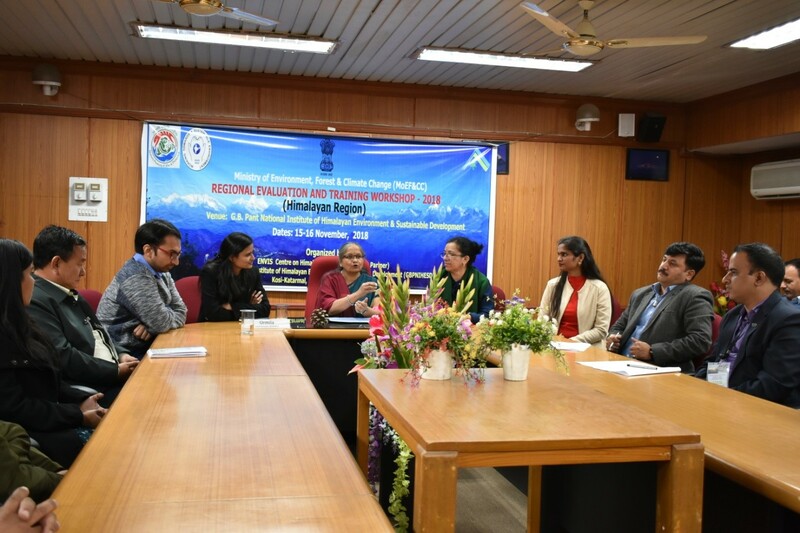 I. D. Bhatt, Scientist-E, GBPNIHESD on behalf of Director GBPNIHESD along with the other participants who were also presented with a token of appreciation. Dr. A. Subramanian, Principal Advisor MoEF&CC, Govt. of India gave concluding remarks on the workshop. The Workshop was concluded by Dr. I. D. Bhatt, Scientist-E, GBPNIHESD, Almora delivering the vote of thanks.